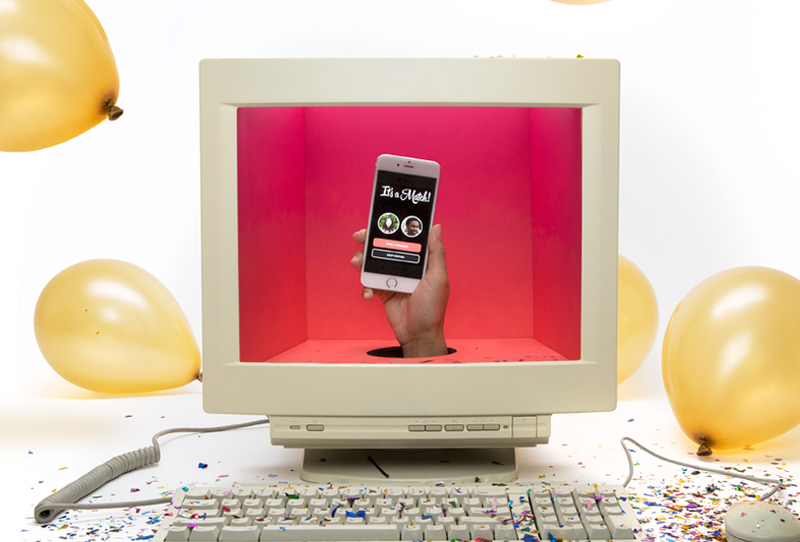 If you're a keen Tinder-user swiping, super-liking and chatting away to people who take your fancy on the regular, what aspects of someone's profile draws you in, leading you to make that bold right-swipe? Are you all about the looks? Or do you look for an impressive bio? Good hair? Good teeth? Age? All are factors which could make or break your decision on which way to swipe. But what about their job? 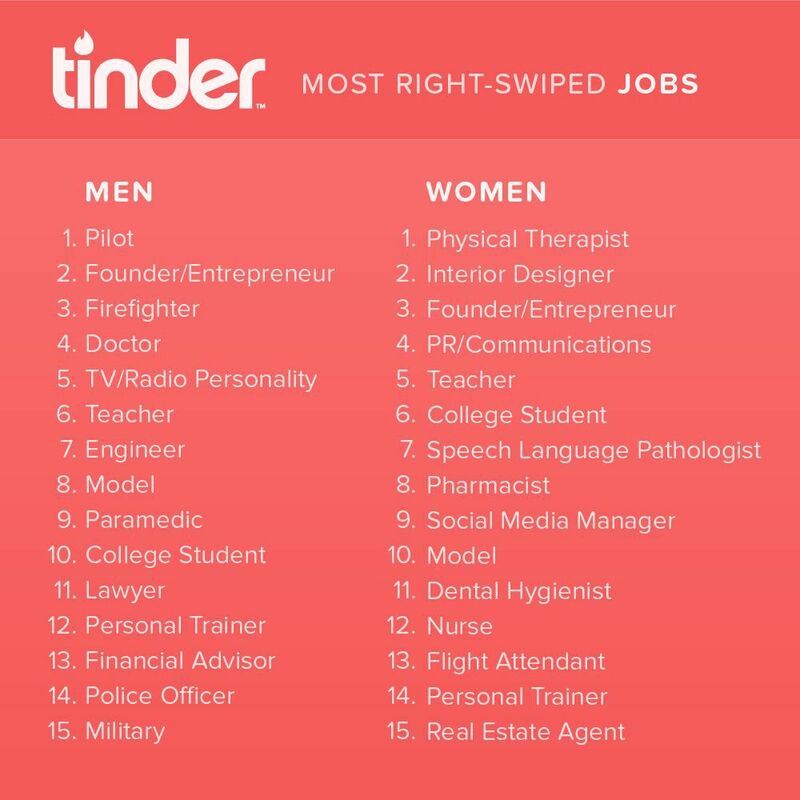 A person's profession can tell you a lot about their interests, passions and lifestyle, and Tinder have revealed the jobs that win the most right-swipes. 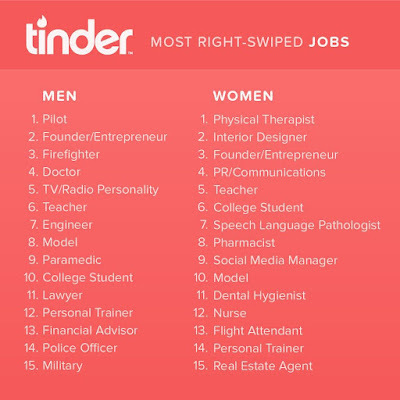 The 'sexiest' jobs, if you will. In the U.S., results were revealed at the start of last year and split into popular professions for men and women. Male pilots got the most right-swipes - which is understandable, many love a man in uniform - and founders/entrepreneurs followed in second, which again makes sense as those titles boast a certain level of wealth at first glance - something that some take into consideration when looking for a partner *cough* what's that Kanye West and Jamie Foxx song? For women, the most popular profession was revealed to be a physical therapist. The second most popular was interior designer - perhaps people want a creative and artsy date - and founder/entrepreneur came in third, landing in the top 5 for both lists. Being part of a cabin-crew seems like a job with a good amount of perks; you get to travel the world AND get flooded with Tinder matches, win-win if you ask me. So, if you're unlucky-in-love on Tinder, hop on a plane, and pop on one of those stripey neck ties...Happy Swiping!